Mosquito bites can cause visible symptoms. Symptoms usually range from less significant to mild. Female mosquitoes are the ones that bite. Mosquitoes are more active at certain times. While mosquitoes may not differentiate between their targets, some people are still more sensitive to mosquito bites than others. They not only develop an annoying itchy bump, but also develop mild to severe allergies. Most mosquitoes attack either in the morning or evening as they are most active during these times. Male mosquitoes are harmless as they feed only on nectar and water while the female mosquitoes are out only for blood. Female mosquitoes set lock onto their victim with the help of a combination of scent, exhaled carbon dioxide and chemicals present in the persons sweat. On finding a suitable prey, these female mosquitoes attack exposed skin by inserting their proboscis to draw blood from victim’s body. Are you at increased risk of mosquito bites? 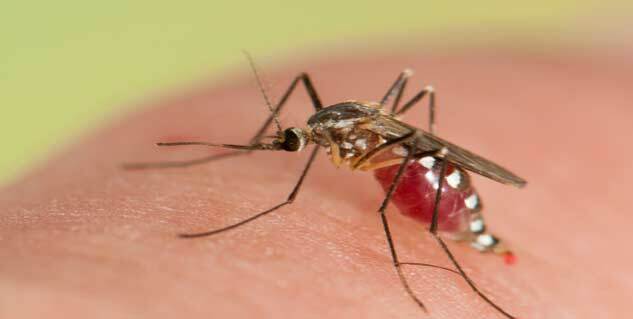 Researchers believe that mosquitoes target people who are obese or overweight or have the O blood type. However, they are unclear of the reasons behind this. Besides, mosquitoes are attracted to heat and dark colours as they also absorb heat, which makes people who live in humid and tropical climates more prone to mosquito bites. People get desensitized over time and develop less severe symptoms from mosquito bites. Children, on the other hand, develop more significant symptoms such as soft red bumps and itching. Such symptoms usually last for several hours after a bite. As per American Academy of Allergy, Asthma & Immunology, contact with mosquito must be six seconds or more to cause a reaction. Mosquito bites can also lead to more severe allergic reactions that may include itching on larger area, lesions, bruises, lymphangitis, hives and anaphylaxis. To prevent mosquitoes from flourishing, avoid standing water during dusk and dawn when mosquitoes are believed to be most active. Wear full sleeves and light coloured clothes as much as possible. Close holes in windows or doors. Use citronella-scented candles in outdoor areas or campsites. Apply mosquito repellents before steppung out. Proper protection can help you reduce risk of allergies from mosquito bites.